The National Library of Ireland will be introducing a number of improvements to its services in two weeks' time. A new advance order form will be available, and it will be possible to order material online from both the Main Reading Room and the Manuscripts Reading Room simulataneously, and choose the delivery time that suits you best. Orders for the 9.30am delivery must be placed by the last delivery time on the previous working day. For example, orders for 9.30am on Monday must be placed by 11.30am on the previous Saturday. This will ensure the prompt availability of material in the Reading Rooms. Microfilm copies of the Tithe Applotments Books will be available on open access in the Genealogy Microfilm Reading Room. These improvements will take effect from Monday 13 February. FindMyPast Ireland has released a set of records which may prove useful to those with orphans or adopted children in their family tree. The Deserted Children Dublin 1850-1854 release is taken from a return made to the House of Commons in July 1854 and is a report on the all of the deserted children taken into the care of the Dublin Metropolitan Police Force in the years ending 30th June 1850 to 1854. Remarks: this is the most informative, and often the most distressing section of the report. These remarks tend to detail the fate of the child, in most cases they were either taken into the care of the parish or received into the Union Workhouse system. A minority of the children were repatriated with their mothers, who would have then been arrested. Bere Island Heritage Centre is planning a major exhibition about emigration from the island. The exhibition will look at the reasons behind the momentous decision to leave the island, how the emigrants settled into their new homes and how their descendants still maintain a strong allegiance to their island roots. Bere islanders emigrated to England, mainland Europe, North America, Australia and New Zealand. Some also travelled to Africa to work with religious orders, while a considerable number went to Argentina. Indeed, a descendant of a Bere Island man set up the First Cattleman's Bank of Argentina. Many curious and interesting stories have been uncovered, and the organisers of the exhibition are hoping more will pour in. 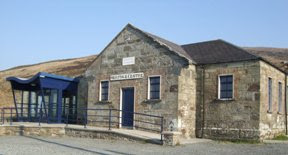 Bere Island Heritage Centre's Helen Riddell told IGN: "We are asking that anyone with stories of their families who have emigrated get in touch with us at biheritage@gmail.com or on 00353 277 5956." A number of events will run alongside the exhibition, which will open in June. These include talks from historians and lecturers on the subject of emigration, and workshops for children; dramatisations of emigration stories involving local theatre groups; an American Wake party; music/poetry sessions; a 'food night', where everyone will be invited to bring a traditional dish from a country where they have family. Jack 'The Slasher' from Bere Island was well-known for being the fastest and most efficient mine-shaft sinking contractor in the USA. Senator John H O'Sullivan of Ballinakilla ran for Mayor of Boston against JFK's grandfather 'Honey Fitz'. A Bere Island woman working as a stewardess on a liner is reputed to have brought late President De Valera back from the States as a baby. Another Bere Island woman worked as a maid next door to Lizzie Borden and her family. Lizzie Borden subsequently murdered her parents. Clare County Library has launched a superb new online maps viewer called GMaps. The county's GMaps are based on the Google Map system, allowing Google Maps to be overlaid with historical maps dating from 1842. This new system, developed by Rainer Kosbi, uses many of the same controls as Google Maps, and it has been linked to the thousands of pages on the Library's impressive website that deal with the archaeology, history and administrative divisions of County Clare. It's an easy system to navigate, allowing you to quickly orientate yourself on the old maps using the modern-day road maps. Dropdown menus allow instant navigation to towns, townlands etc. This is the latest addition to a site that family historians researching in other counties can only envy. It's just remarkable. As the Clare Roots Society says: Go to Clare Library's site and start drooling. The General Register Office of Northern Ireland (GRONI) has announced that future death registrations in Northern Ireland will include provision for noting the names of the deceased's parents. New regulations are to be drafted for implementation later this year and will be modelled on the Scottish system; provision of the information will be voluntary, and requires informants only to provide information they have knowledge of. Confirmation of the change to Northern Ireland's civil registration system was sent to CIGO, the Council for Irish Genealogical Organisations, which has long campaigned to improve the data recorded on death registrations across the island of Ireland. Informants of death in the Republic of Ireland have been required to provide the names of the deceased's parents since December 2005. It followed a change in the law secured when CIGO appealed to the then Minister for Social Welfare, Mary Coughlan TD, drawing attention to the fact that the United Nations had long promoted the need for universal registration of 'vital' events and had produced a 'Model Civil Registration Law’ to assist developing Third World countries! While the Republic responded quickly, GRONI was slow to move on the issue. However, the campaign received a huge boost in 2009 when CIGO executive liaison officers Steven Smyrl and Robert Davison appeared before the Northern Ireland Assembly’s Finance & Personnel Scrutiny Committee to give evidence about civil registration practices in Northern Ireland. They made a convincing case for Northern Ireland to follow the Republic’s lead and to begin noting the name of each deceased person’s mother and father. Across Britain and Ireland, this now leaves only England & Wales to recognise the value of, and commit to, this important provision for future generations and future genealogists. Traditional music and genealogy - what a great mix! As part of Temple Bar TradFest 2012, Dublin’s biggest and best festival of Irish Music and Culture, genealogists from the Irish Family History Foundation will be offering free advice and expertise in the Crypt of Christchurch Cathedral from 11am to 4pm this Saturday. The festival, which started yesterday and runs to Sunday, includes more than 200 free events, a music trail, concerts in the Cathedral, City Hall and the Button Factory, the international Celtic Irish dance show, pipe bands, street performers, and much more. And family history is part of the mix. Four more Cork directories have been made available free and online through Cork City Library. They are all from the Slater's Directory series. They comprise the 1846 Cork City and Cobh edition and the 1856, 1870 and 1881 editions for Cork City and County Cork. The recent additions join an impressive line-up of directories dating from 1787 to 1945. Meanwhile, Cork City and County Archives (CCCA) has just completed its project to create and make available online full descriptive lists for its Board of Guardians collection. The latter covers all of the county's 14 Poor Law Unions. The lists can be downloaded in pdf format from the CCCA website. Summaries are also now available on the Irish Archives Resource website. PRONI have had to cancel the planned Exploring Local History Lecture on Crime which was due to be held at their Titanic Quarter offices on Thursday (26th). Instead, this week's lecture will be on the theme of Religion, with Dr Janice Holmes at the podium. It is a free lecture, run in conjunction with the Open University of Ireland with PRONI experts presenting relevant examples from the collections. 6.30pm to 8pm. Booking required at proni@dcalni.gov.uk. The Representative Church Body Library in Dublin is one of the major repositories for Church of Ireland records, including birth, marriage and burial registers, and has huge potential for family history research. 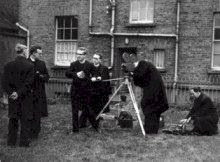 For a good overview of its value to those with Church of Ireland ancestors, see this blog post by Fiona Fitzsimons of FindMyPast.ie. Any brainy graduates in your tree? FindMyPast Ireland's fourth new release of 2012 sees the Register of Queen's Colleges Ireland 1849-1858 ready for searching online. The Queen's Colleges of Ireland were established to create multi-denominational universities. Queen's Collegs of Belfast, Cork and Galway were formally incorporated in 1845 and received their first students four years later. The Register is a list of students for each college during its first decade. Typically, each entry includes the name and religion of the student and the department in which he studied. The Belfast list is the largest with 930 students, while there are 680 graduates listed for Cork and 245 for Galway. While we're with FindMyPast, I'll just mention again that Find My Past UK is currently offering a 10% discount on new subscriptions. This offer lasts until the end of the month, is valid only on the UK site, and you need to enter the promotion code NEWYEAR12 when you sign up. The Balfour Album, an outstanding collection of photos taken by Belfast photographer Robert John Welch in 1893-1895, has been added to europeana.eu. The latter is a site where cultural institutions from across Europe can upload, link and share their digital projects; some 20million items are accessible on the site. Already available on NUI Galway's website, this new initiative will allow the collection to reach a wider audience. And it deserves to, because it includes some really wonderful images of Galway during the years when the Galway to Clifden Railway was being built. Here are men carrying curraghs across the beach, children resting beside a holy well, spinners outside a whitewashed cabin, as well as some marvellous landscape views. The album, which was a gift to the former Chief Secretary for Ireland, Arthur J Balfour, in recognition of his support for the building of the railway, was presented to him a year after the railway opened. It's only 50-images strong, but its recent arrival on the wider European stage is a good excuse to take a look. The National Library of Ireland has published a report of a project that its Learning & Outreach department worked on last summer with a group of adults with intellectual disabilities. This was the 5th annual such project, and the tricky subject of the Irish Famine was chosen, broken down into specific themes. Research was carried out into the type of meals the majority of Irish people ate, what their houses were like and the style of clothes they wore. Eviction and emigration, two such integral features of life during and after the Famine, were also studied. Find out more about the six week project here. The National Archives of Ireland is revamping its website and improving its search capabilities. It looks great, really very impressive, and navigating around the site is now a lot, lot easier. However, I was a bit thrown to begin with when I typed "Census" into the search box and was returned with along list of documents about the Irish census but no obvious link to the searchable census database. I found it after a while, under Quick Links on the home page. Trouble is, those quick links are 'below the fold' and I can't help think that many new visitors to the site won't spot them. They'll either do as I did, and type Census into the search box, or they'll click through to the Researching your Family Tree page where there's no mention of the Census. Suggestion to the web developers: add a link to the census database from Researching your Family Tree page. Suggestion to researchers: bookmark the direct link! National Archives (UK): I followed a link from I know not where (possibly Twitter) the other day and discovered a treat – a useful podcast on the subject of Irish land records. Land records are often a bit of a minefield for beginner researchers. They're not as clear cut as census and bmd records. Best advise is to understand why the different records were created in the first place, as this often informs the best route for research. So I recommend taking some time out to get a clear idea of what's available rather than try the scattergun approach. This podcast was first published in 2009 but has plenty of useful information that's worth listening to. Pull up a chair – it's 43 minutes long. Were any of your ancestors Freemen of Dublin? FindMyPast Ireland has today released a directory of the Freemen of Dublin City 1774-1824. This directory derives from a nineteenth century printer’s galley which never reached publication. The list covers almost 6000 men admitted to the Freedom of the City of Dublin between 1774 and 1824. It is predominately made up of tradesmen and craftsmen, including makers of furniture, silver and clocks but also includes masters of other branches of the fine and applied arts so it will be of interest to all family historians whose ancestors were artisans or tradesmen in the city. NOTE: An earlier collection, with records from 1461-1491 and 1564-1774, is known as the Ancient Freemen of Dublin and can be searched free of charge at Dublin Heritage. Sprinting into the New Year, Ireland Genealogy Projects Archives have uploaded the following records in the past two weeks. Irish Genealogy Toolkit is the Research Help partner of Ireland Genealogy Projects Archive. Emigrant ancestors in South Ontario? FindMyPast Ireland has today released travel and migration papers that will be of interest to anyone whose Irish family history takes them to Southern Ontario, Canada. For brevity, the collection has been given the working title of Canadian Emigration: 1826 Parliamentary papers. But the official title, though worded in typical civil servant style, actually gives a clearer indication of what is within: Return of the Assessed Value of the Townships in the Newcastle District in Western Canada, which were settled by Pauper Emigrants from Ireland, between the years 1825 and 1828 at the public expense: Of the number of various Emigration Societies formed in Canada in 1840, by Canadian Proprietors desirous of Settling Emigrants from Great Britain and Ireland upon their Estates. (1848). This parliamentary paper publishes the correspondence and extensive supporting documents of the British government with the Governor-General of Canada concerning the settlement of poor Irish in the Newcastle District in 1826, or 'Mr. Robinson’s Emigrants' as they became known. This was the result of a Commons request for the publicly funded settlement. In total around 260 plots are covered, giving details of over 700 people. It's a small record collection, but beautifully formed for those whose ancestors were among Mr Robinson's settlers. Major genealogy database provider Ancestry.co.uk has added 139 million records from the London Electoral Registers to its UK and Ireland Collection. Dating from 1835 to 1965, and covering the old counties of London and Middlesex, the collection will be of interest to most Irish researchers because it's a very rare family from Ireland that has no link with the English capital. The collection contains lists compiled each year of people (and their residences) who were eligible to vote in local and parliamentary government elections. It's worth knowing a little about the history of universal suffrage in England as it may help to explain why you can't find an ancestor before 1928. Restricting eligibility to those who owned property over and above certain financial values was the main means of keeping voting rights within a tight, select class from 1832. However, by the end of WW1, when disenfranchised (and armed!) soldiers were returning from the trenches, and the Bolshevik Revolution was demonstrating the potential for disaffection among the masses, this rich and privileged group realised the halcyon days in an exclusive club had passed. In 1918, property owning restrictions were lifted for nearly all men over the age of 21. They were also lifted for women aged 30 and over who were married to householders or held a university degree. It was not until 1928 that universal suffrage for adults (21+) was achieved. Because they were updated every year, the electoral registers can help you not just to pinpoint your ancestor as he/she moved around London, but also to find out about their life between the 10-yearly census. And if you've got ancestors that always managed to avoid being recorded on census night, they may have found it trickier to evade registration on an annual basis. 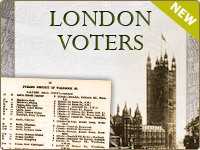 The Electoral Registers collection originates from the London Metropolitan Archives, with whom Ancestry is involved in a huge digitisation project. Already more than 11million parish register entries have been made available, as have Bishops Transcripts, Registers from Non-Conformist congregations and Board of Guardians registers which include workhouse records. School admission and discharge registers, land tax records and wills are still in the pipe. Cork City non-conformist baptisms – online and free. Like most researchers, every now and again I tumble across some records that have been quietly and freely available for some time. That's what happened this week when I followed a link from the Irish Genealogical Research Society's facebook page to the Unitarian Church of Cork. What a treasure trove for those with non-conformist ancestors! In a database of records dating from 1717 to 1900 are 4,500 baptisms. While the majority of entries don't give an address for the new parents, nor, most unfortunately, the mother's maiden name, many provide exciting additional information rarely seen in church registers. Henry Alexander was baptised by Mr Hinks on 27 January 1811. He was the son of Henry and Mary Leith. A note in the margin adds that Henry junior is his father's 10th son. James, the son of James and Janet Ferrod, was baptised on 3 May 1749. His father is described as a Warwickshire (England) man but a soldier in the Highland Regiment. The family is noted as 'going to America'. The daughter of Amos Varian, Hester, was baptised on 29 May 1826, her birth 'occasioning the death of her mother', Dorcas. A set of triplets, Hector, Anne and Ellinor, was baptised on 23 February 1752 by Mr Bryan. They were the children of John and Christian (sic) Mackay. A significant proportion of the fathers were soldiers and in most post-1750 entries their rank and/or regiment is given (ie Drummer Major 78th, Capt in Carr's Regt). Other entries carry clues such as 'their first (child) here' or 'first by his present wife'. These records were discovered by members of the congregation in 2010 and uploaded to the Church's website 'about a year ago'. It is hoped that Marriage Registers will be added at some time in the future. The Unitarian Church, Princes Street, is the oldest place of worship in Cork City. Building commenced in 1715 and the first service was held on 4 August 1717. Images of the registers and the Excel database of baptisms can be downloaded here. I've been trying to catch up on news for the last two weeks and, with this last round up of items, I believe I've almost got there! Almost. Lunchtime nostalgia on film: The Irish Film Institute is running free screenings of Radharc films made in Ireland between 1961 and 1996. Often provocative, these archive films offer insights into social and religious practices. There's also an interview with Christy Brown and the first film ever made in an Irish prison. At between 20 and 30 minutes long, these are lunchtime perfect if you're near Temple Bar on a cold, frosty January day (Mondays, Wednesdays and Saturday). Genealogy Records for Westmeath: Flyleaf Press will be publishing a new title, Tracing your Westmeath Ancestors, in April. Written by Gretta Connell of the Westmeath Public Library Service, the book provides a comprehensive guide to tracing ancestors in the county, which includes the towns of Mullingar and Athlone. TV show starts tonight: Starting tonight on TG4 at 10pm is a second series of Who Lived In My House?. Each episode of the 12-parter examines the architectural evidence of an individual property and speaks to families, neighbours and local historians to discover the characters who crossed the threshold in the past. The opening show features Coolatore House, a Victorian pile near Rosemount, county Westmeath, that links the ancient kings of Ireland to Michael Jackson, Bill Clinton, Monica Lewinsky and Shirley Bassey. Repeated on Sunday at 9pm. The Coming of the Railways: Too late for the main Diary listing, I've received news from Foxrock Local History Club that their main lecture at next week's meeting (Tuesday 17 January, 8pm) is on the subject The Coming of the Railways. The Lecturer will be Brian MacAongusa. In addition, a short talk on the Voting Irregularities in Coldblow Lane, Donnybrook will be given by Greg Peppard. Venue: Foxrock Pastoral Centre, at the junction of Kill Lane /Bray Rd. Admission €4. A small collection of US and Canadian items has come my way over the last couple of weeks. New York Drop In: Joe Buggy, a professional genealogist from Kilkenny now working in New York, will be providing free guidance to family historians at a new Drop-in service at the New York Irish Center. The service will run on Wednesday afternooons, from 1-4pm, starting on 1st February. Details. Irish American Museum for Washington DC: There are Irish American centres, museums and clubs all over the US but the creation of a NATIONAL museum in the nation's capital is of a rather more ambitious design.The intention is to create a major cultural institution with a library, performance and workshop facilities, a cinema, a national wall of honour, exhibition space, oral history centre, restaurants and (of course) a gift shop. More. 1940 US Census release in April: The US federal census taken on 1 April 1940, which contains the details of 132million people, is due for release on 2 April 2012. It's going to be released to the public in digital image format on the US National Archives website first but you'll need to know the names and likely addresses of ancestors before you can do much with it in this format (there's some advance advice here about identifying the correct Electoral Districts). However, it probably won't take much time for the big-name genealogy databases (Ancestry, Family Search, FindMyPast etc) to get the returns indexed and transcribed ready for online searching. Irish ancestry in the USA: Recently released statistics gleaned from the 2010 US Census show that the Irish are the 4th largest ethnic group in the United States. They represent 12.26% of the total population, behind Hispanic/Latino (16.4%), German (15.48%) and African (13.47%). Massuchusetts, where 1.52million people claim Irish or Irish-Scots ancestry, is the state with the highest percentage (23.96%), followed by New Hampshire (21.47%). But California has the highest Irish-American population in pure numerical terms, with 2.8million. More. The Irish in Newfoundland: Here's an interesting film about the Irish in Newfoundland, most of whom set sail from Passage East in Waterford on the long journey to St Johns. While the work was originally seasonal, permanent settlers from Ireland began arriving from the middle of the 18th century, and have left a distinct legacy on the area. The second of last week's announcements about new records came from the National Archives with the release of the Registered Papers of the Chief Secretary's Office. Having now had the chance to spend some time mooching around the new website – www.csorp.nationalarchives.ie – I can see that this is another valuable addition to the online family history mix and every researcher should take time to see whether a gem is hidden within. The first tranche of the Collection covers just five years (1818-1822 inclusive) and the 'Context' page is worth reading for an overview of the role and political position of the Chief Secretary. While the Registered Papers include material relating to all aspects of the administration of Ireland, a large proportion is made up of letters and petitions from individuals and organisations on a wide variety of topics; some topics are of national importance but there are lots of personal stories and plights concerning employment, health, unfair incarceration or other punishment, smuggling, religious intolerance, neighbour disputes. The collection doesn't have the size or the scope to promise a find for everyone, however. And due to the nature of the beast, it can sometimes seem a bit Dublin-centric. But if you find a reference to an ancestor within the collection, you'll likely be delighted with the colour it adds to your research. For those who, like me, panned for gold and came out empty-handed, there is still potential within the papers. Perhaps neighbours are mentioned, or local schools, employers or bigwigs, or events that affected the communities in which our ancestors lived. These papers are very much of their time, and tell us a lot about the social scene of the day. In a three-page letter dated 21 December 1819, Marcus Tierney of Dublin, who was staying at Gosson's Hotel, Bolton Street, requested Earl Talbot, the Lord Lieutenant, to consider him for a government appointment. He states he was disowned by his parents following his refusal 'from remorse of conscience' to take holy orders as a Roman Catholic priest, and his joining the Established Church. Thomas Halpenny of Leaklodge, Co Leitrim, wrote to the Lord Lieutenant for an advance of £500 for public works to alleviate the local peasantry. The public works he had in mind were the erection of cottages, the draining of bogs, and the building of roads. His detailed request was made in a three-page letter dated 5 June 1822. A petition was sent to the Chief Secretary's Office by John and Ester Hill of 7 Eden Quay, Dublin, requesting the discharge from Richmond General Penitentiary of fourteen-year-old Garrett Doyle, their employee. The letter, dated May 1822, claims he had no previous convictions and had thrown a stone in self defence at a 'servant man'. The petition includes a character reference from Reverend Henry Murray, the Chaplain of the Foundling Hospital, Dublin. 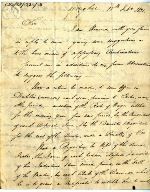 A letter dated 29 October 1821 from Thomas Taylor, Earl of Bectire MP, recommended the case of Arthur Murphy of Navan, Co Meath, and requested patronage for his plight. He details his loyalty during the 1798 rebellion and his family's poverty, and requests the Chief Secretary's assistance to secure him government employment. The letter was signed by 14 individuals. Five items (nine pages) of correspondence dating from 28 November 1820 to 13 January 1921 tell the story of Tohn Teevan, a farmer from County Cavan, who was requesting release from Cavan Gaol and redress. He asked for bail to avoid being 'brought to a state of beggary and ruination' after being charged wtih killing and feloniously taking seven geese in August 1820 which were owned by Mrs Ann Nesbitt of Derrcadis, Cavan. He claimed the charges were maliciously raised by Hugh Tierney, who he describes as a 'most infamous character'. The registered papers for 1823 and 1824 will be added to the site in due course. What goodies might the Military Archives hold? Because I was preoccupied with family responsibilities at the time, I wasn't able to delve much further into the announcement other than to learn that the collection includes over 36,000 pages of witness statements relating to key military events between the stated dates. It was also clear that the release will not include any personnel or service records. James Doyle, Manager of the Gresham Hotel. 1920. Witness to the Execution of British Agents on 21 November 1920. Mrs Nellie Donnelly, nee Gifford, sister of Grace, the widow of Joseph Plunkett, executed in 1916. Albert Desborough, a Lewis Gun instructor in the British Army, Dublin 1916. Timothy Tierney, Captain IRA Tipperary 1921. Reading the personal accounts of people involved in this turbulent period of Ireland's history is sure to be fascinating. This collection will also be of huge interest to genealogists and others whose family lore tells of involvement in battles and skirmishes and other acts of daring-do (no matter what the uniform). MilitaryArchives.ie is the website of the State's Defence Forces. The archives are held in Cathal Brugha Barracks in Rathmines and include the personnel records of those who served in the military of the Irish state from 1922 to the late 1970s, as well as material relating to the Irish Volunteers and the Independence movement 1913-1921. It does not hold records of Irish people who served in other armed forces ie the British Army. The Reading Room is open by appointment only. There are no plans to upload personnel files to the website either now or in the future. These can be viewed in person by next of kin only. Now's the time to enrol for a genealogy course. Judging by the number of new courses starting this term, it seems family history research is maintaining its popularity. Here's a collection of courses due to begin in the next week or so. If you want to sign up, make contact with the institutions quickly, not least because the classes may be over-subscribed. The enrolment and payment process usually need to have been completed in advance of the first class. Family History for Advanced Beginners, with Tom Coughlin at Newpark Comp School, Blackrock. Tuesdays, 7.30-9.45pm. 8-week course. €105. Starts 31 January. This is a follow on to the Autumn term course ndash; some knowledge and experience of genealogy research would be a definite advantage. Details: tomcoughlan@tomcoughlan.net. Irish Genealogy - How to research your family history, with Claire Bradley at Malahide Community School. Mondays, 7-9pm. 10-week course. How to start, where to go, and how to record what you find. Topics covered include the Census, bmd records, church records, wills and newspapers. No prior knowledge required but familiarity with a computer is desirable. €110. Enrolment 24 January or at www.feepay.ie. Starts 30 January. Details: adulted@malahidecs.ie. Diploma in Family History, in conjunction with the Association of Professional Genealogists of Ireland (APGI). Independent Colleges, Dawson Street. Tuesdays, 6.30-9.30pm. 12-week course. Provides an introduction to the records, research skills and record keeping involved in genealogy. All lecturers are members of APGI. Course co-ordinator, Paul Gorry MAPGI. Starts 7 February. €895. Details: 01 672 5058. Family History, with Margaret Bonar at Donahies Community School. Mondays, 7.30-9.30pm. 6-week course. Explore your family history using accessible and reasonable sources. Basic computer skills essential. Starts 30 January. €80. Details: donahiesadulted@gmail.com or 01 848 2217. Genealogy - an Introduction to Researching your Family Tree, with Catherine Delaney. People's College, 31 Parnell Square. Tuesdays, 7-8.30pm. 10-week course. A new course for beginners. Provides a background to the resources available including census and church records. How to use the National Library, National Archives, Gilbert Library and GRO, and Internet Resources. Starts 24 January. €70. Details: 01-8735879 or info@peoplescollege.ie. Irish Genealogy, in conjunction with the Genealogical Society of Ireland. Lecturer: John Hamrock of Ancestors Network. Saturday mornings. 2.5 hours each class. 6-week course. Topics covered include the principles of genealogy, computers and the Internet, place names and surnames, the census, civil registration, valuation and church records. Includes guided tours to important centres of research. Held at the GSI's Archive and Research Centre, Carlisle Pier, Dun Laoghaire. Starts 14 January. €300. Details: 087 050 5296. Irish Genealogy, with Tony McCarthy at UCC. Tuesdays, 7-9pm. 10-week course. Three stranded course examining 12 important genealogical sources and how to use them; approaching research in methodical way; and developing an understanding of the historical and social context of our ancestors' lives. Starts 24 January. €230. Details: 021 490 4717, shortcourses@ucc.ie. Investigating your Family History, at Belfast Metropolitan College. Thursdays, 7-9pm, at Ashfield Girls School starting 26 January, ends 22 April; or Mondays, 7-9pm at BMC, Chicester Avenue, starting 23 January, ending 13 May. How to start your research; explore how different types of documents and source materials may be approached and understood; Internet resources. £72. Details: 02890 265 265. Post edited 14 Jan to include Tom Coughlin's course at Newpark School in Blackrock. The rush for database providers to offer New Year discount continues! Ancestry.co.uk is introducing a Saturday Special throughout the month. On 7, 14, 21 and 28 January, all WW1 Service and Pension Records and Medical Index cards for British Army soldiers will be available for searching and viewing for free. About 200,000 Irishmen are estimated to have served during the campaign. Find My Past is offering vastly reduced access to the 1911 census for England and Wales until the end of the month. Instead of paying 30 credits to view an original image of a census return, or 10 credits for a transcript, the January costs will be 10 credits for an image and 5 credits for a transcript. Such big reductions make this an offer worth taking up if you've got ancestors who crossed the Irish Sea to England or Wales. The discount has been introduced to coincide with the availability of previously 'redacted' details. Under the 100-year rule, health information was not allowed to be made public. Nor was information about infants having been born in prison. Such details can now be seen by any researcher. As announced in yesterday's post, the database provider is also running a 10% discount for its main collections. You can access both the dedicated 1911 census site (where the reduced prices will automatically apply until 31 January), and the main collections (where you need to use the promotion code NEWYEAR12 to receive the 10% discount) at Find My Past.co.uk. FindMyPast Ireland has released an online collection from Clonfert diocese relating to Wills, Administrations and Marriage Records from 1663 to 1857. This will be of huge interest to those with ancestors from the east of Co.Galway, parts of Co.Roscommon and a small section of Co. Offaly on the east bank of the River Shannon (see list of the civil parishes below). Details in the Marriage Licence Bonds Index include the name of the intended bride and bridegroom and the year of the bond. They refer to marriages celebrated in the Established Church (ie Church of Ireland) only, so if your ancestors were RC or Presbyterian, you won’t find their marriages in this collection. Pre-1858, Wills were proved either in the Diocesan Court (if the deceased owned property in only one diocese) or in the Prerogative Court. This regulation applied to both Catholics and Protestants, so a large number of Catholics appear in the Indexes to Wills. If a person died intestate prior to 1858, their affairs had to be settled by their next of kin or his principal creditor in the Diocesan or Prerogative Courts. Before the Bishop granted the administration, the administrator was required to enter into a bond of a specified sum as security that they would justly administer the effects. Details in this index includes the name and address of the deceased and the year in which administration was granted. The original marriage and wills/administration bonds were destroyed in the Public Record Office fire of 1922, so all that survives are indexes. With personal issues having dominated the final two weeks of the old year, I’m now playing catch up with recent Irish genealogy news. So, here’s one of my occasional ‘bits and bobs’ posts to help get both you and me back up to full speed. FindMyPast Ireland has added Thom’s Irish Who’s Who 1923 to its growing list of databases. The publishers, Alexander Thom & Co., were best known for their Dublin City and County Directories but they made this one side-step into a list of biographical notes of prominent Irish men and women. Containing the names and life story of just 2,500 famous people (including WB Yeats, Eamonn De Valera and Micheal Collins), this addition will be of limited interest to the majority of family historians, but I’m never going to complain at additional resources being made available! One teeny surprise I received when investigating this latest database was just how many directories (45) are now in the FMP Ireland stable. My own family name, which is quite rare and is historically found only in West Cork, makes 30 appearances in FMP Ireland’s directories between 1846 and 1899. A new website – militaryarchives.ie – was launched last month to deliver greater access to the state’s military archive. Unless you’re a great lover of maps and architectural drawings, the launch batch of online goodies about the construction of military barracks from 1830 to 1980 won’t have got your toes tingling but a radio interview on RTE’s News at One yesterday suggests this site is worth watching. By March, the site intends to upload some 36,000 pages of witness statements relating to the key military events that took Ireland from 1913 to Independence in 1921. I’ll delve into the site in greater detail when I’ve got full Internet access and see what else I can discover about what appears to be a tantalising new online collection. You may also have heard about the Registered Papers of the Chief Secretary’s Office going online on a dedicated section of the National Archives website. At first glance I can’t see that there’s much the genealogist will get excited about (although the papers are obviously of fabulous historical value), but I’ll reserve judgement until I’ve had a more leisurely browse. I’ll report later if it seems to warrant the interest of family historians. Eneclann has a Winter Sale on, offering almost everything in their online cd and book store at 50% off. I know many people wait for these kind of reductions to come around before they feel they can afford to buy, so it’s worth taking a browse. A couple of examples: Brian J Cantwell’s Memorials of the Dead, Collected Works for €35.53 inc VAT, and WW1 Irish Soldiers – Their Final Testament at €15.20 inc VAT. The latter contains the service history of 9,000 wills of Irish soldiers who died during WW1, and the names and details of their beneficiaries. The sale ends on Sunday 8 January. This week sees the launch of Titanic 100 Cobh 2012, a year-long centenary commemoration and tribute to the Titanic, the people of her time, and the town (then called Queenstown) where the ship made her last port of call. Find My Past.co.uk is offering a month-long subscription discount of 10%. Just enter the promotion code NEWYEAR12 when you sign up. Just as an aside, you might like to know that the requirement for the providers of online access to the 1911 Census for England and Wales to redact ‘sensitive information’ (such as details of infirmities or data about very young children being in prison) ended yesterday. The full returns, with all redactions reinstated, can now be viewed at FindMyPast.co.uk, making that discount all the more attractive! John McCabe, FAPGI, was involved in professional genealogical research in Belfast from the 1960s, originally working with the Ulster Scot Historical Society (later the Ulster Historical Foundation). Later he became a self-employed genealogist. In 1986 he was one of the prime movers behind the establishment of APGI in Belfast, and he played a central role in encouraging the formation of the Dublin Section, speaking at its first meeting. Later he served for many years on the overall Council of APGI, and as Vice-President. Henry McDowell, FAPGI, FIGRS, worked in publishing in London before returning to Ireland in the 1960s to become a full-time genealogist. While in London, he spent many hours at the Society of Genealogists Library. In Ireland he settled in Celbridge, Co. Kildare. He served on the editorial committee of the Irish Genealogist and contributed to the American edition of Burke's Irish Family Records. He spoke at the XIIIth International Congress of Genealogical and Heraldic Sciences in London in 1976 and at the very first Australasian Genealogical Congress. As well as being a founder member of APGI, he is a longstanding member of AGRA (the Association of Genealogists and Researchers in Archives). He served on the Dublin steering committee of APGI and was President of APGI for 2001-2003. APGI is the only accreditation body in Irish genealogy and is also a representative organisation open to those conducting genealogical research professionally throughout the island of Ireland. It was established in 1986 to set standards and protect the interests of both genealogists and their clients. Over the years its role has evolved and broadened. For the past quarter-century it has been at the forefront of developments in Irish ancestral research and heritage-related tourism. APGI is an All-Ireland body. Back in 1986 most professional researchers were based, by necessity, within easy reach of the national record repositories in Dublin and Belfast. Today there are members in Clare, Cork, Derry, Kerry and Offaly, as well as the greater Dublin and Belfast areas. Although they say they have been taking it easy over the holidays, the folk at Ireland Genealogy Project Archives still found time in the last two weeks to add a few more items. Irish Genealogy Toolkit is the Research Help partner of Irish Genealogy Projects Archives. Many 2012 programmes have yet to be published so the listing of January events below may well expand over the course of the month. I’ll post any extras as and when I hear of them. For now, the diary looks pretty good, with a nice mix of lectures covering local and national social and family history themes. All month: Titanic Exhibition, Terenure Library, Dublin 6. Free. Open during normal library hours. Tuesday 3 January: The Irish Navvy, with Joe Kelly. Ballinascreen Historical Society. Venue: The Rural College, Derrynoid, Draperstown, Co Derry. 8.30pm. Monday 9 January: Recent excavations at Claregalway, with Brian Mac Domhnaill. Galway Archealogical & Historical Society. Harbour Hotel, The Docks, Galway. 8pm. Details: gahs@eircom.net. Tuesday 10 January: Portadown Foundry, with Caldwell McClure. Craigavon Historical Society. Civic Centre, Craigavon, 7.45pm. Wednesday 11 January: The War of Independence – Four glorious years or squalid sectarian conflict? Another History Ireland Hedge School, promising provocative and interactive debate, with David Fitzpatrick and Eve Morrison (both TCD), John M Regan (University of Dundee) and John Borgonova (UCC). Editor Tommy Graham in the chair. All welcome and no booking required. 7pm National Library of Ireland, Kildare St, Dublin. Friday 13 January: Loyalist or Royalist? Identity in Loyalist Murals, with Bill Rolston, Director of Transitional Justice Institute. 1pm to 2pm. Free. No booking required. Ulster Museum, Botanic Gardens, Belfast. 0845 608 0000. Wednesday 18 January: Ballyraggot in the newspapers, with Seamus Brennan. Kilkenny Archaeological Society. Rothe House, Parliament St, Kilkenny. 8pm. Details: 056 772 2893. Monday 23 January: Obama’s Irish Relatives, with Professor Brian Walker. Donaghadee Historical Society. Donaghadee Sailing Club, 20 Shore Street. Co. Down. £2, including tea and biscuits. All welcome.Details: 028 9188 4790. Wednesday 25 January: Coughs and Sneezes Spread Diseases - Medical and health records at PRONI, with David Huddleston. Linen Hall Library, Belfast. 1pm. Free. Booking essential at www.linenhall.com. Thursday 26 January: How the Titanic touched my family, with Martina Devlin. Titanic Lecture Series. Can visit Titanic Exhibition at the Transport Museum from 6pm, prior to the lecture. Rail Gallery in the Indoor Transport Museum, Ulster Folk and Transport Museum. 7.30 to 8.30pm. Free, but must book: 028 9042 8428. Thursday 26 January: Crime – Exploring Local History Lecture Series, with Dr Janice Holmes, Dr Olwen Purdue and Dr Barry Sheen from OUI and with PRONI staff presenting examples from collections. Venue: PRONI, Titanic Quarter, Belfast. 6.30pm to 8pm. Free but booking required at proni@dcalni.gov.uk. Thursday 26 January: Local archives and memorabilia with special emphasis on war medals. Strabane Historical Society. Stabane Library. 7.30pm. Details: 028 7188 3686. Friday 27 January: A nostalgic look at the Linen Industry, part of the Take 30 series of digital film presentations. Killyleagh Library, Killyleagh, Co Down. 1.15 to 1.45pm. Free. No booking necessary. Details: 028 4482 8407. Saturday 28 January: The Planter and the Gael: Explorations in Irish Ethnic History. Lecture with Liam Kennedy, Professor of Economic and Social History at Queen’s University, Belfast, reflecting on the role of ethnicity and relations between native and newcomer in Irish history since the early 17th century. Venue: The Mellon Centre for Migration Studies at the Ulster American Folk Park, Belfast, 11am to 2.30pm, £12 includes refreshments and finger buffet lunch. Monday 30 January: Beginners Irish genealogy course starts at Malahide Community School, with Claire Bradley. €110 for ten weeks. Enrolment is on Tuesday 24 January for those who wish to discuss course in advance. Monday 30 January: Team Sports in East Tyrone 1884-1934, with Donal McAnallen. Stewartstown & District Local History Society. Crieve Centre, The Square, Stewartstown. 8pm. All welcome. Best laid plans, and all that! The festive season didn’t quite go the way it was meant to, with my mam having to have an operation and now needing me to assume eldest daughter’s duties and play nurse while she recovers at her home. So 2012 starts with me 120 miles from home, husband and broadband, and with a real stinker of a cold to boot (all sympathy gratefully received). Not the best state of mind to be preparing the promised Review of 2011 and a report of what the next 12 months might bring our way. Since the only Internet access I’ve got right now comes via a neighbour whose goodwill I don’t want to exhaust, I’m going to put those planned posts on the back burner. They may languish there for some time. They may even quietly disappear because I’m anxious to get the new year started and there’s already a good crop of activities – lectures, exhibitions etc – to look forward to. I’ll be posting a diary for January shortly and I’ll aim to post a ‘Bits and Bobs’ update tomorrow. All being well, normal service should be resumed by next week. And with that thought, I'll wish you all a very Happy New Year.